A recent intensification of violence in northeast Nigeria by both Boko Haram and the so-called Islamic State in West Africa (ISWA) is complicating preparations for Nigeria’s general elections, scheduled for 16 February. On Monday, 28 January, at least 60 people were killed during an attack on the town of Rann in Borno State. 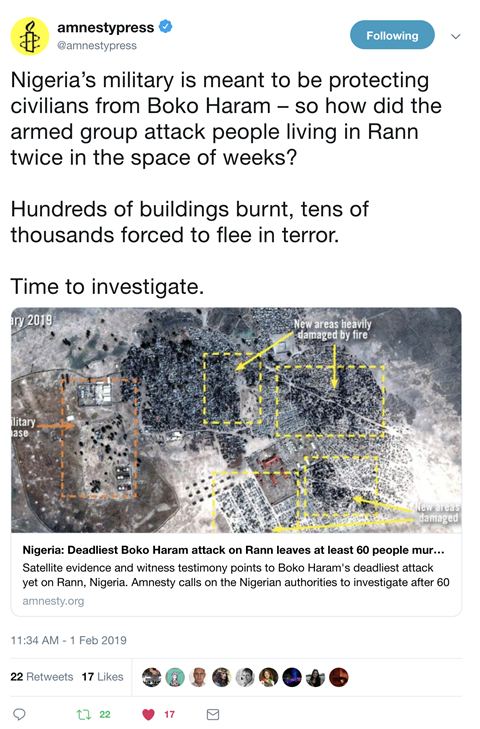 Armed Boko Haram fighters attacked and burned down houses and local humanitarian infrastructure, including clinics belonging to Médecins Sans Frontières and the UN Children’s Fund, as well as the compounds of the World Health Organization and the International Committee of the Red Cross. Rann hosts over 70,000 people previously displaced by Boko Haram violence elsewhere in Borno State. 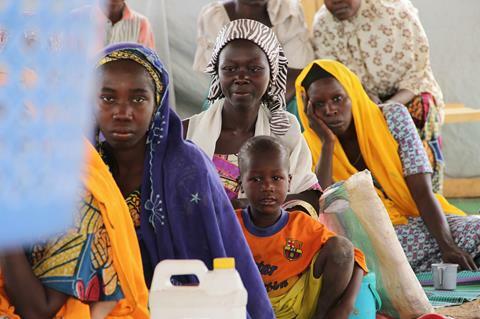 According to the International Organization for Migration, almost 60,000 people have fled violence perpetrated by Boko Haram and other armed extremist groups in northeast Nigeria during the past three months. This includes 9,000 people who fled to Cameroon following a 14 January attack on Rann. Many of those displaced by recent Boko Haram violence fled without their voter ID cards, or have failed to register with the electoral authorities. 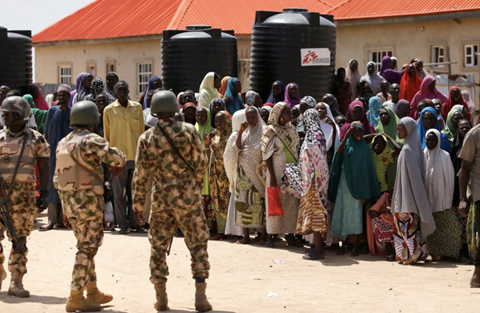 Consequently, tens of thousands of displaced Nigerians will be unable to vote during the upcoming general elections. There have also been security alerts warning that ISWA and Boko Haram plan to disrupt the elections by carrying out attacks on the security forces, as well as by potentially attacking public spaces where civilians congregate. Nigeria is Africa’s most populous country and its largest democracy. The government, with the support of the international community, must ensure that a free, fair and transparent election is able to take place. The safety and security of Nigeria’s 80 million voters must be the preeminent priority and the government should increase police and military deployments to all vulnerable areas threatened by Boko Haram and ISWA. In the longer term it is also essential that the government implements policies to confront the numerous political and social challenges facing Nigeria, including an intensifying pattern of widespread and deadly farmer-herder violence in the “Middle Belt” region. In addition to enhanced security measures, the government should also undermine the appeal of violent extremist groups through socio-economic initiatives and political reforms that tackle corruption, poor governance and land rights, as well as by providing access to employment and educational opportunities in Nigeria’s troubled northeast. 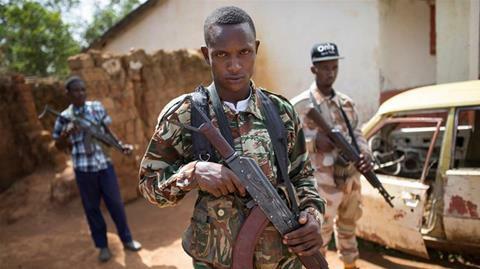 On Saturday, 2 February, the government of the Central African Republic (CAR) and 14 non-state armed groups agreed to a peace deal to end the ongoing conflict within the country. 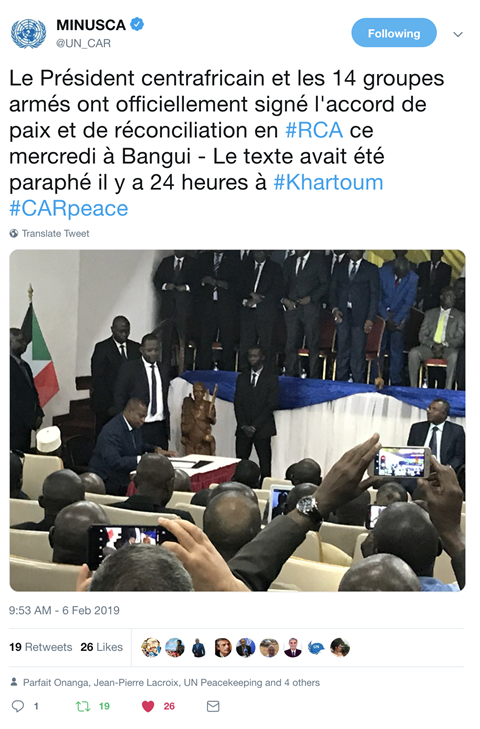 The agreement was formally signed in Bangui today, although the exact terms of the agreement – including a demand by armed groups to receive amnesty for the perpetration of potential mass atrocity crimes – have not yet been made public. Previous peace agreements negotiated in 2014, 2015 and 2017 have all failed to end endemic conflict and instability in CAR. More than 1.2 million Central Africans remain displaced due to widespread violence perpetrated by rival predatory armed groups that still control the majority of the country. 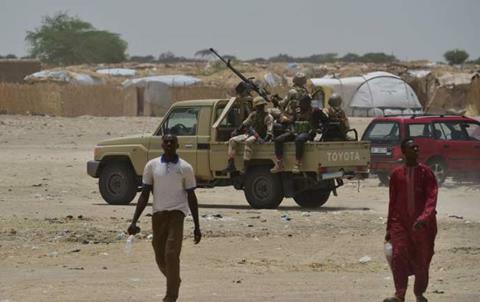 Saturday’s agreement, negotiated in Sudan as part of the African Union-led Initiative for Peace and Reconciliation, was overshadowed by ongoing fighting that resulted in the death of at least 18 civilians over the past two weeks. 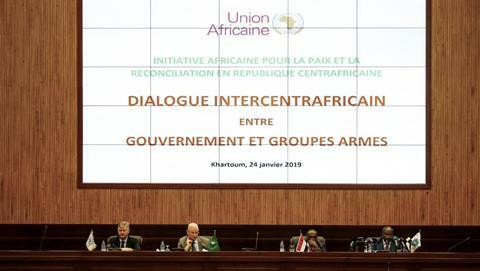 The most recent attack, which took place on 24 January in the town of Ippy, Ouaka prefecture, was allegedly carried out by members of the Union pour la Paix en Centrafrique – one of the armed groups represented at the peace talks in Khartoum. The proliferation of weapons and ammunition in CAR, including through illegal supply networks, has exacerbated violence between armed groups who compete for territory, influence and resources. 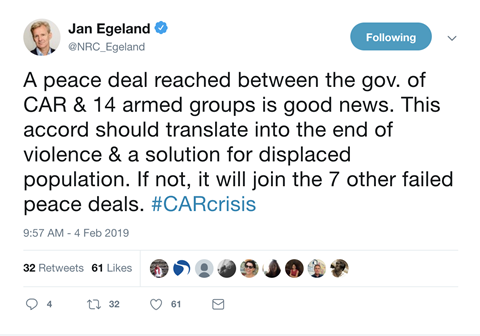 On 1 February the UN Security Council (UNSC) extended the arms embargo on CAR for another year, but included the possibility of lifting restrictions in September if the government can demonstrate significant reform to the security sector. A UNSC review of the arms embargo should include practical benchmarks regarding improvements to the government’s weapons storage management and progress toward demobilizing and disarming armed groups. Additionally, without jeopardizing the political momentum created by the latest peace agreement, the government should exclude amnesty provisions for those responsible for mass atrocity crimes and pursue accountability for perpetrators through CAR’s Special Criminal Court. Despite the prevailing global media narrative that the war in Syria is coming to an end, civilians across the country continue to face the threat of war crimes and crimes against humanity. 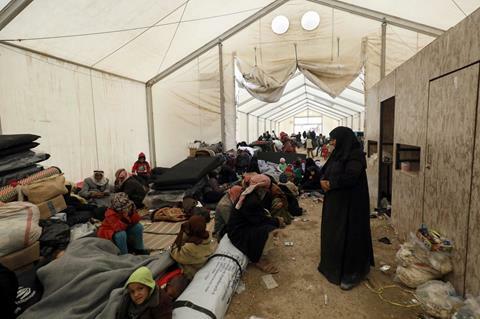 Fighting in pockets of territory still held by the so-called Islamic State of Iraq and the Levant (ISIL) within Deir Ezzour Governorate, particularly around the city of Hajin, has led to scores of civilian deaths and has displaced over 25,000 people since December. There is also a renewed risk of a Syrian government-led offensive on Idlib Governorate – the last remaining major opposition stronghold and home to approximately 3 million civilians. On 31 January the UN Children’s Fund (UNICEF) reported that at least 32 children have died in the areas surrounding Hajin due to violence, displacement and severe winter weather. This included several children who froze to death. The number of civilians remaining within ISIL-held territory is currently unknown. 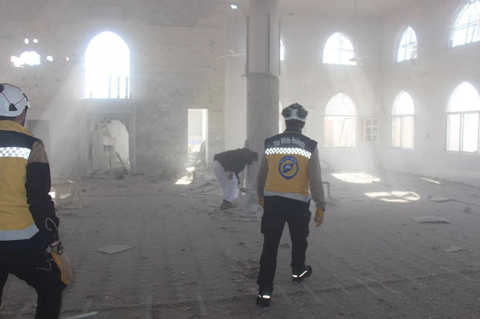 Meanwhile on 29 January Syrian government forces shelled the town of Maaret al-Numan in Idlib Governorate, killing at least 10 people. 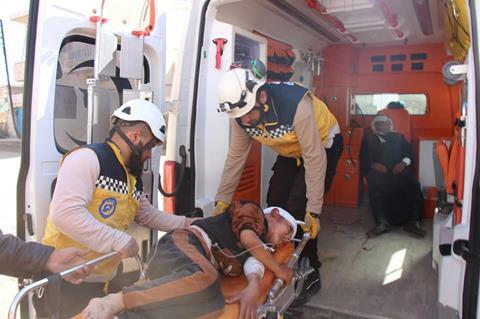 The bombardment marks the most significant increase in hostilities since Turkey and Russia agreed to establish a "demilitarized zone" within Idlib on 17 September last year. 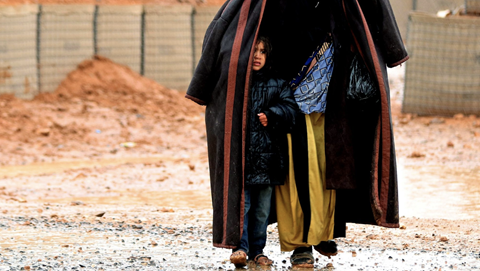 It has also renewed fears of a possible major Syrian government offensive. While the UN Security Council has failed to have any substantive impact on the actions of parties to the conflict over the last eight years, it is essential that workable diplomatic solutions continue to be pursued. In keeping with previous UNSC resolutions, the Council should emphasize the need for humanitarian access to be sustained in Deir Ezzour and other vulnerable areas. The UNSC, working with the governments of Turkey and Russia, must also ensure that a military offensive on Idlib and the surrounding areas is avoided. Civilians continue to pay with their lives for the UNSC’s failure to uphold international law and its responsibility to protect in Syria.